I've currently being doing a strength program to get my numbers higher up and build more of a foundation. I want to start doing the Shotgun Method again, but I have a quick question about exercise selection. Is it necessary to change up the exercises each time I work out? Or should I keep using what works until it just stops yielding results? I've been following programs for the past 3 months that required you to use the same exercises each workout, and I made significant gains. Just wondering if it's necessary to change specific exercises regularly or not. I am trying to cut down on my body fat. I have tried Atkins and Keto diets. I even did some fasting, and they make me feel a little crazy. Is this normal? What diet would you recommend and why? I don't even care if I lose a little muscle mass, I just don't want to lose any strength. My Answer: Well I have written about how ketogenic diets can make you a little crazy and a little on edge. It depends on the person. Fasting can make you loopy too, which is one reason why religions use it to make its members psychologically malleable. If you find that you just can't take ketogenic diets or fasting, then you're going to have to rely on lowering your calories instead of restricting certain macronutrients or foods. Q: Hello, I consider myself to be partly a hard gainer but no beginner. 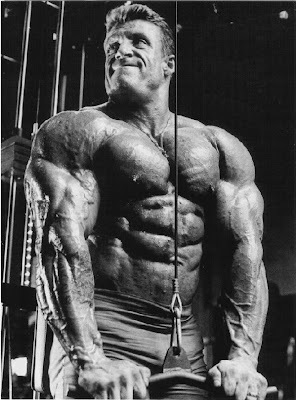 Therefore I plan to modify the Hypertrophy Training for Ectomorphs program in your book by taking 8-6-5-12 reps instead of 10-8-6-15 as in the book. My question: If I follow this program I will end up training my biceps and triceps each for 4 sets 3 times a week, in other words 12 sets each week. Isn't that a little too hard on the arms, especially if I am 45 years old? My Answer: The program calls for you to train each body part 4 sets 3 times per week, regardless what pyramid scheme of reps you use. 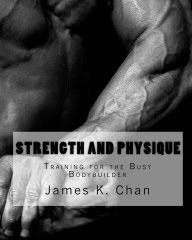 I read your Hypertrophy training for Ectomorphs article and was wondering how long should I remain on that program once I begin? My Answer: Ideally you should stick with a program until you're no longer gaining in size and/or strength. As a general rule, stick with a program for 3 weeks, then move on to the next. BUT you can stick to a program for longer as long as you are gaining. After the gains stop, then I suggest you follow the 5x5 Heavy-Light program. 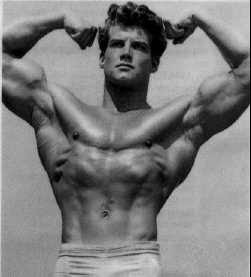 "Hi, I am an ectomorph and I have a question about your bodybuilding.com article on hypertrophy for ectomorphs. How would you modify the weight for each set? Do you start with something you can comfortably do 10 times and progressively raise the weight as the sets get smaller, then lower the weight for the set of 15 reps? 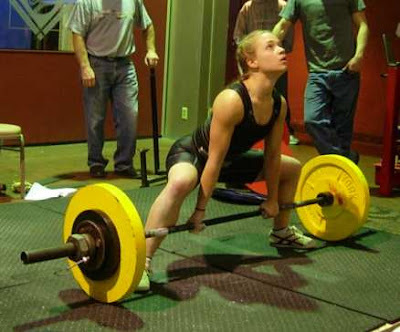 Or do you not even modify the weight at all?" My Answer: Yes, start off with a 10 rep max weight and add more weight from set to set. For the 15 rep set, lower the weight. Q: How do you do? Thank you for answering my questions on skinny-fat. I need your advice again. I have been following the 10-8-6-15 routine you suggest for ectomorphs for 1 month. I workout 2 to 3 times a week, only do one exercise per body part and gradually increase the weight for each set except for the last set. I notice improvements on my strength but not so much on my physique. How is this so? Is there anything I can do to improve on it, or does this simply mean it's time for me to switch to other routines? My Answer: If you're getting stronger, but there isn't any change in your physique, then it's usually diet that is holding you back. You have to eat more, and you have got to eat more meat and whole eggs. If you start to get the skinny-fat look again, then eat more veggies and eliminate those starchy carbs. If you drink a lot of alcohol, that is also making fat in all the wrong places, so cut the booze. 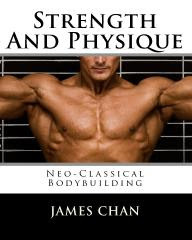 Heads up readers: Strength and Physique: Training for the Busy Bodybuilder is now available! 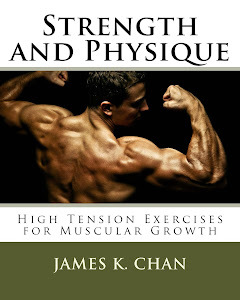 The training outlined in this book is VERY different from anything that I have ever written. In fact, the training is almost the exact opposite of what I normally tell readers to do, which is to train briefly, intensely and frequently. 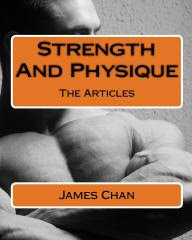 In my previous books, such as Neo-Classical Bodybuilding, I talked about the most you can do to achieve mass and muscularity in an ideal situation. If you are able to go to the gym 3-4 times, then previous volumes of Strength and Physique will provide you with countless training programs to build maximum muscle through maximum effort. "I saw your article on Bodybuilding.com. I'll be going into the academy next year when I get all my credits. I'm just curious about the decompression [phase]: how does it work for the body?" My Answer: The way decompression works is that if you train at a high volume and/or a high frequency for a few weeks, and then you drop that volume or frequency significantly, your body will overcompensate in size by sucking up amino acids and carbohydrates left and right. People call it detraining, backcycling or muscle confusion, but decompression is very specific. You are purposely dropping the volume by half and decreasing the density of a workout by increasing rest periods. Your body will take some time to adjust to this drop, so it will try to load up on all of its nutrients before you decide to get crazy in the gym again. During this adjustment, that is when you grow. Don't know if you can offer any advice, but I've been trying to develop a better exercise routine for myself. I've been going to the gym for quite a few years, and though I see little results, I find that I'm still quite weak. I'm 33 years old, 5'6" 147 lbs. I guess my body type would be ectomorph, though skinny I do have a little fat around the mid section. I've been working with mostly split routines. I do 3 different exercises with 3 sets for each body part (also do some cardio once or twice a week). I'm probably overtraining. Not looking for a bodybuilder body, but I do want muscle, tone and strength. 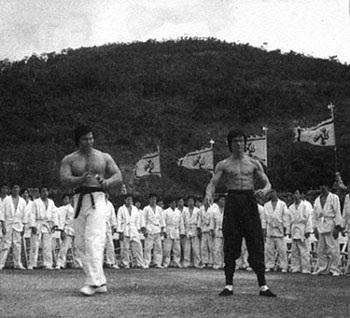 I've read your article on the bodybuilding forum Hypertrophy Training for the Ectomorph.